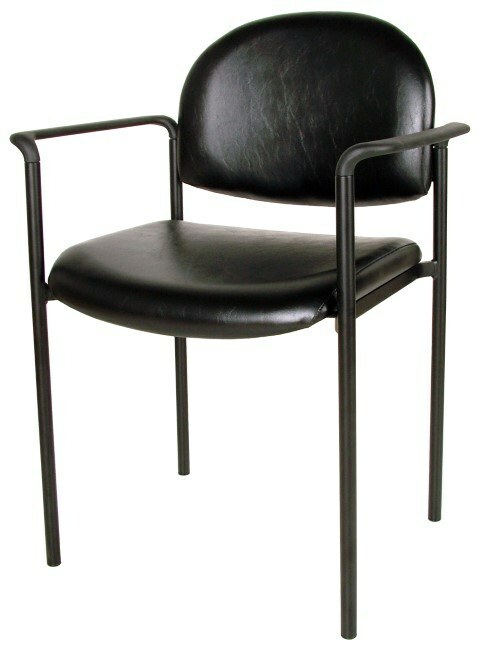 Comfortable and economical, the Winston Waiting Chair features a black tubular steel frame and molded black arms. Ordered for QUICK DELIVERY in five standard colors: Black, Charcoal, Grey, Scarlet, or Chocolate or can be special ordered in 100+colors. Chair measures 22 1/2" Wide x 21" Deep x 35" High. 19 3/4" between the arms.